Actress, comedian, and author Lilly Singh was appointed UNICEF's newest Goodwill Ambassador at a special event during the weekend in New Delhi. Lilly, who is known by her digital alias Superwoman, was in India to meet children and young people being supported by UNICEF, the world’s leading children’s organisation. 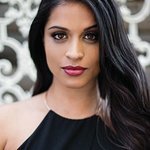 In her role as a Goodwill Ambassador, Lilly will use her unique digital presence to engage children and young people and empower them to speak out about the challenges they face. “I am honoured to join UNICEF as a Goodwill Ambassador, and to use my voice to support its mission of reaching every child,” Lilly said. “The children I have met here are overcoming so many challenges – and they are living proof of what a child can achieve, if given a chance,” she added. Lilly travelled with UNICEF to Madhya Pradesh State in Central India, where she met with adolescents and young people growing up in challenging circumstances including extreme poverty, but who have been able to bring positive changes to their lives. One of the many projects that Lilly visited was the UNICEF supported Youth4Change initiative, a leadership programme for young people that brings them together to support their peers and communities in taking action on the issues that impact them most such as of health and hygiene, protection from violence and exploitation, gender equality and the importance of a quality education. “It was beyond impressive to see the ‘Change Loomers,’ as they called themselves, create so many diverse and impactful initiatives to help improve their community,” Lilly said. “It was also incredibly inspiring to see free karate lessons for girls that not only build their self-confidence, but teaches them self-defense tactics to help them face the real-life threat of violence and harassment,” she added. “Lilly Singh is already a Superwoman, helping empower girls around the world – and we are delighted that she will lend her passion and her powerful voice to speak up on behalf of the most vulnerable children,” said UNICEF Deputy Executive Director Justin Forsyth. Lilly, 28, has gained a huge fan base of over 11 million YouTube subscribers. This year, she released her international and New York Times bestselling book How To Be A Bawse, and was recently cast in HBO’s film adaptation of “Fahrenheit 451.” Additionally, Lilly was ranked 1st on the Forbes Magazine Top Influencers List in the entertainment category. As a UNICEF Goodwill Ambassador, Lilly will use her platforms to showcase UNICEF’s work and to engage her millions of supporters in advocating for children’s rights. Her new role with UNICEF is complemented by her Girl Love initiative, which aims to end to girl-on-girl hate and instead focuses on positivity by encouraging support of women and girls. Lilly was joined at the launch event by Ms. Yasmin Haque, UNICEF’s Representative in India, who officially welcomed her to the UNICEF family. “Lilly is a role model to so many young people, especially girls, and we look forward to the role she will play in generating greater discussion – and greater action – around the value of girls in India and everywhere,” Haque said. More than 50 per cent of India’s population are below the age of 25 and India is already the second largest market for YouTube, Facebook, and many other video platforms. Lilly joins an impressive list of other UNICEF Goodwill Ambassadors that includes David Beckham, Orlando Bloom, Jackie Chan, Muzoon Almellehan, Danny Glover, Liam Neeson, Priyanka Chopra, Ricky Martin and Shakira.